RESIGNED Tourism Secretary Alberto “Bertie” A. Lim is being eyed to occupy the third remaining vacant slot on the Monetary Board (MB), the policy-making body of the Bangko Sentral ng Pilipinas (BSP). Several sources on Saturday confirmed that a recommendation to President Aquino was in the works. On Sunday a source in Mr. Aquino’s official family told the BusinessMirror: “I understand that’s what P-Noy has in mind for him,” indicating that the President had already approved the recommendation. Lim reportedly has the backing of a number of Mr. Aquino’s own people, especially those from the “Balay” faction of Transportation Secretary Manuel A. Roxas II. Contacted for comment on Saturday morning, Lim declined to say if he had been offered the job. “I believe it is more proper for P-Noy to respond to your query,” he said. Asked, however, if he would accept the job if offered to him, Lim said: “It is a job that is less stressful and for which I am qualified to work in. So I would be inclined [to accept it] if it is offered.” Lim is an economics graduate of the Ateneo de Manila University. The appointment to the MB is being played as a “graceful exit” for Lim from the Department of Tourism (DOT) on August 31, and a reward for his fervent dedication to Mr. Aquino whom he campaigned for in 2010. The tourism chief was part of the regular economic briefing group of Mr. Aquino, “working closely” with the latter even at the Times Street residence. The appointment, however, could ruffle the feathers of some in the so-called Samar group of supporters of Mr. Aquino. A career central banker and well-respected in his own circles, Suratos is rumored to have the backing of Sen. Ping Lacson, a distant relative; “brods” Executive Secretary Paquito Ochoa and Jesuit lawyer Fr. Joaquin Bernas, BSP sources said. Suratos studied law at the Ateneo and is member of the Fraternal Order of Utopia in the College of Law, of which Ochoa and Bernas are also members. 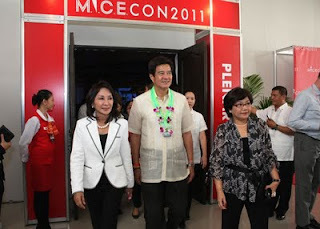 Ochoa represents the so-called Samar faction of supporters in the Aquino administration. This would be the third government post for Lim. 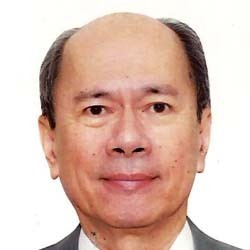 His first government job was as director of the Civil Aeronautics Board under former President Gloria Macapagal-Arroyo. 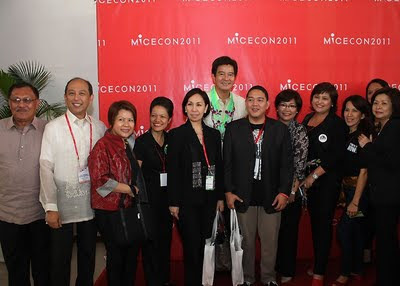 Before his appointment to the DOT, Lim was executive director of the influential Makati Business Club, a keen Mr. Aquino supporter. Retired advertising executive Ramon Jimenez is rumored to be taking over from Lim at the DOT, and was only waiting to be asked by Mr. Aquino, as of Friday afternoon. LIM’S resignation, announced on August 12, caught the public—including DOT employees and several tourism stakeholders—by surprise. He said he was doing so for “personal” reasons. “I would like to spend more time with my family. My responsibilities require a great deal of travel and time away from my loved ones,” he said. A brother of broadcaster Cheche Lazaro, Lim has been married 39 years to the former Carla Campos Abreau. The couple’s children are already in their 20s and 30s, living abroad and pursuing their own careers; one of them is married and now has his own family. 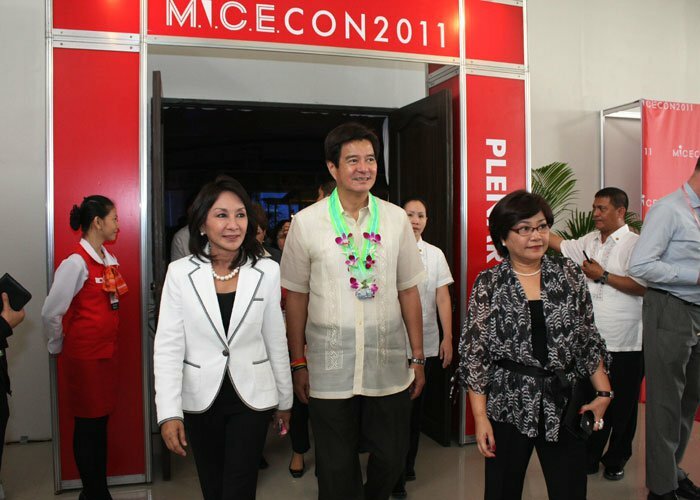 The day before his resignation, Lim was in Cebu opening the MICE Philippines Conference, which was attended by a lot of tourism stakeholders, including a number of DOT officials. Also, the tourism chief earlier received flak for having given the go-signal for a failed tourism slogan, “Pilipinas Kay Ganda,” for which Undersecretary Vicente Romano took the fall. THE Black and White Movement, of which Lim was a member, released a press statement after he announced his resignation, decrying the sinister forces that pushed him to resign. “In the process of working in the government, Bertie made enemies from powerful vested interests that benefited from a regime of protectionism. And their constant attacks against Bertie made it increasingly more difficult for him to do his job,” it said. Industry sources said the few vocal protestors claiming to represent the tourism industry had never once owned or worked in a tourism establishment. One who wanted Lim ousted even went to town with the media, but failed to mention that his group lost the bid for the national tourism development plan, the same sources added. Jose Mari del Rosario, president of Microtel Development Corp., confirmed the staunch anti-open skies lobby to have Lim removed from the DOT. But he said, “that [open skies] policy is starting to benefit the hotel industry, at least in my case.” Del Rosario’s company manages several provincial hotels under the Microtel chain. He believes Lim to be a “very straightforward and idealistic person. Medyo mahina lang ang personal PR, ‘di politiko like his predecessors”—echoing the assessment of other tourism stakeholders who liked him well enough, but was put off by the tourism chief’s lack of charisma. Aileen Clemente, president of the Philippine Travel Agencies Association, sees Lim’s resignation as another impediment in the progress of the tourism industry. “The primary enterprises of the industry put emphasis in having continuity. The average tenure of the past secretaries in the department is two years, which is quite detrimental to the industry. Plans have been made in the past but little of which were geared to have long-term impact. The rest of the public always clamor for good marketing strategies, but to industry stakeholders, this is merely the tail-end of an honest-to-goodness strategic plan that tackles institutional reforms,” she said in a press statement. “[More] than branding and marketing, there are so many issues that plague the industry. First, there needs to be more effort to remove the downgrading of the [Federal Aviation Authority] and the European ban…. Second, measures must be taken to remove or lessen the numerous hurdles and challenges in the procurement of visas by foreign nationals coming to the Philippines. Third, the government must understand the impact of the double taxation of airlines as well as the charging of the CIQ [Customs, Immigrations and Quarantine]. Fourth, it is essential to plan the various infrastructure that needs to be developed especially in terms of airports, roads, transport systems,” she added. (UPDATE): On Aug. 17, in an interview with Karen Davila on ANC's Headstart, Lim said President Aquino delayed taking action against TIEZA chief operating officer Mark Lapid, despite a COA report detailing the latter's alleged fund misuse, due to "bigger political considerations". The day after, Malacañang denied Lim's statement, saying there was "no selective prosecution of officials".